Billionaire Graham Tuckwell and his wife Louise have given $50 million to the Australian National University to fund a new Tuckwell Scholarship program - described as the largest philanthropic gift to benefit students in Australian history. Billionaire Graham Tuckwell and his wife Louise have given $50 million to the Australian National University to fund a new Tuckwell Scholarship program – described as the largest philanthropic gift to benefit students in Australian history. in Australia will award 25 Tuckwell Scholarships each year at a value of $20,000 per annum for up to five years for expenses such as accommodation and living costs. 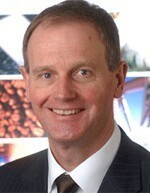 Tuckwell is a Canberra-born global commodities trader who graduated from the ANU in 1978 with a Bachelor of Economics and a Bachelor of Laws in 1981. “Both my wife and I benefited enormously from our formal education. Our university experience was life-transforming. We would like to give that opportunity to other young Australians,” Graham Tuckwell said. “The gift was given with the intention of enabling highly talented and motivated students to fulfil their potential and reinvest their knowledge, skills and experience in ways that positively benefit others. “The Tuckwell Scholarship program is aimed at providing Scholars with a collegial and well-rounded campus experience,” Tuckwell said. The Tuckwell Scholars will be selected from a cohort of school-leavers whose ATAR is 95 or above and who display a rounded set of attributes. “This is a national scholarship program where we are aiming to bring students from diverse backgrounds from all around Australia together to a single university. That university is Australia's best university – ANU. I can tell you it’s the best because I benefited enormously from the springboard of opportunities that it gave me in life,” Tuckwell said. ANU Vice-Chancellor Professor Ian Young AO says the University is committed to delivering on the Tuckwells’ vision. “When Graham and Louise first suggested the possibility of a donation like this to support such a tremendous scholarship program, I was enormously impressed by their vision,” Professor Young said. “The Tuckwell Scholarships will allow us to attract the best and brightest students from right across the country, who want to give back in a whole range of ways. Professor Young said the donation may also prove to be transformative for philanthropy in Australia. “One of the important results of the Tuckwell donation will be to set an example of what people who have succeeded in business or other activities can do. I’m very hopeful that this will act as a catalyst for other philanthropists to make similar donations to Australian universities," he said. It is reported that Graham Tuckwell set up a Private Ancillary Fund in 2012 as a channel for $80 million in philanthropic funds. Applications for the Tuckwell Scholarship open to students from around Australia on Monday March 4, 2013 and close Tuesday April 2, 2013. The website http://tuckwell.anu.edu.au will go live at 11am on February 5. Congratulations to Graham Tuckwell for his generous contribution to future leaders through his $50M Tuckwell Scholarships. There is no doubt that Australia and the world would benefit from more people like him who are prepared to make such significant contributions in the form of "transformative philanthropy". As a practitioner in measuring social outcomes I am intrigued how the program will know to what degree the scholarships will create outcomes in support of "…the intention of enabling highly talented and motivated students to fulfil their potential and reinvest their knowledge, skills and experience in ways that positively benefit others." If the program does indeed create 25 more skilled community leaders a year then the possibilities are clear to see. On the other hand, the recipients will be young people with strong academic performance and well-rounded personal attributes. These are people who are have a good likelihood to succeed in life anyway. It is perhaps only an academic question but it would be fascinating to know whether more (or less) social value would be created by directing such a substantial and transformative investment towards those facing disadvantage, exclusion, poverty and separation from opportunity. I invite others to engage in this discussion.